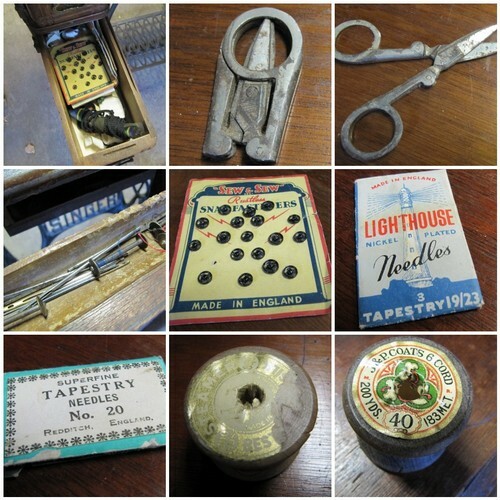 In the drawers of the previously featured Singer were these lovely old tools and notions. I love the scissors and the wooden spools! Ooh, you found treasure! Beautiful.